Sage 300 ERP (formerly Accpac) provides midsized companies with a customizable, cost-efficient, and adaptable ERP solution for finance, CRM, and operations. Work for Sage 300 ERP? Learning about Sage 300 ERP? "Sage 300 user for 10 years "
If you have a financial background you can mind most of what you need to do. Sage as a company is slow to adapt. They are now offering a cloud solution but it is not truly cloud, It just a subscription pay model. The technology the system is built feels old and not user friendly, some things take more steps than needed. The only practical remote user functionality depends on remote desktop server. There is no web/HTML solution. The Sage CRM integration is terrible and feel like two separate system with very little communication between the two. The reporting and sage intelligence are complicated and clunky. ERP and CRM solution. I would love to switch but it requires too much resources. "Way too clunky and too many bandaids"
The software has a lot of tools. The support system is great. You pay for it, but it is worth it because you need it. There are so many add-ons that a lot of the program doesn't work well together because it has all been added at different times. It isn't easy to update the financial reports or any reports in general. The FSD is completely outdated. The Crystal Reports are great and easy to use. They give more functionality to the reporting. There are too many ways to customize that don't intertwine well together long term. WE have run into a lot of issues because of original customizations. 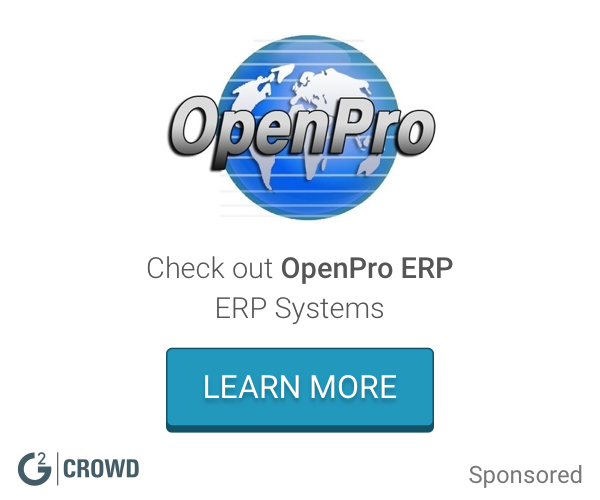 What ERP Systems solution do you use? "Meets my needs and nothing more"
Sage was recommended to once implemented it was easy to use from day one. Fast and simple to use. clear useful data which instantly made a positive impact on our business. it saved us time and money within its first month of use brilliant software a must-have for any company. Creating custom import file for Sage to import for Accounts Payable was difficult at times. Import utility wasn't as dynamic as we needed. Dynamism is extremely important to me. We keep our books up to date very easily with Sage 300 ERP. There are only a few drawbacks. I really enjoy it for its price. I like that Sage ERP allows our construction department to solely work within procore and can push all of our information over to Accounting who uses Sage to view the information on their end. Allows everyone to use the program they are more comfortable with. It doesn't pull all of the information there are a few small details that get lost in translation. Also, at this point we cannot push invoicing information from Sage to Procore. The communication between the Accounting and Construction Department software. Since we have implemented Both Sage 300 ERP and Procore, things have been moving a lot smoother. Fairly easy to built chart of accounting and input AP payment/AR receipts. Will take a great deal of time when first setting up information such as vendors, customers, tax rate, and etc. I wish there is a feature such as auto-backup before posting batches, otherwise you have to take 30 seconds to save anytime before posting a batch. Can also be difficult to track down errors. Can be very intimidating at first, however once get use it, will be fairly easy to use. I was given a project for a local tire company, that we had to build chart of account and record transactions. Sage 300 ERP allow us to do all the accounting task in one complete software. "Sage 300 ERP sound Accounting and Operational software"
I like the integration to many systems we use like Sage CRM, Payroll, HR, revenue recognition, BI tools. We intially had many systems and many data silos. Sage 300 brought the data and systems together. The stability of the Sage product in unquestionable, and it is easy for trained users to use. It is not SAAS based, which is the direction we are looking to move. Due to lack of support and lack of product knowledge, we export data to far too many Excel reports instead of doing them within the product. We are on an old version (2014) of Sage 300. I would consider at minimum 2018, but prefer to suggest the SAAS based offers. For the general running of our business, it works well, but we need to move to a new version of either the same 300 products, or a new SAAS based solution. The integration with other software took longer than expected. It is a strong inventory and accounting software. They are flexible and open to new ideas. Sage 300 requires you to fully understand the software in order to do what is required to do. The features are all there but you simply need to know to use it. It takes a little getting used to but once you've figured out the tricks this software becomes one of my top 3. It can be difficult to find certain tools and hard to perform certain tasks. You really need to know the software in order to utilize its strengths. I dont find it simple to use, it can be a little overwhelming. Recording transactions and financial audits. The benefits are that It organises the numbers the way you want to see it. "Overall, it is a good choice for small business"
You can design the financial reports based on your personal needs in intelligence reporting module. In each module, there is a report function, like running AP/AR aging reports, inventory valuation list. But the export to excel is a not very user friendly. I have to save as a CVS file, and then copy and paste the columns I need to a excel file. You have to run the intelligence report again from the beginning if any new entries posted. After you post the entries, you can not edit any more. If you want to make change, you have to do a reversal entry. If you are running a small business, you can choose sage 300 ERP. It can satisfy your needs and you don't have to make long term commitment. The payment options is also attractive. Pay in advance for one year or more, you can get discount. Or you can just pay month by month if you like. We used AR,AP, Inventory, Order entry and purchase order, GL modules and the reporting. Inventory functionality is excellent when tracking history on serial numbers and making adjustments. Problems with functionality causing errors, no easy copy and paste on values. Very outdated, go with a newer erp system. Solving inventory and forecasting issues. Valuable in keeping key items in stock with changing demand. Training others to use this software for basic needs is easy. Able to look up needed accounting information and be very specific by narrowing down the category. Sage is a good product if you have the proper training on how to use the platform.. We were not trained properly and had to bring in a consultant to help train us. The search feature and the options available to use it could be better utilized. When seaching it usually asks if you want to broaden your search. If I am searching then it should lists all results, not inquire if I need to see more results. Streamlining processes and trying to make our processes more efficient. Benefits are the live support options and internet tools available. Report setup and running the reports themselves. The reports will take a little time to write but it’s a great program. This product is very user friendly and it does not take long at all to get acquainted with the system. The system is pretty basic but handles accounting needs. The graphic user interface is decent. In need of some new versions, no major changes at this point. Support is not great. attempting to improve efficiency in a retail business setting. It has helped take some of the complexity out of the accounting process. Sage is easy to learn and navigate and provides reliable information back to our purchase orders, invoices, etc. Reports exported into Excel do not always format the way I would like them to. Works well, I have used the program for over 5 years. Our construction company uses Sage for accounting and reporting. It integrates well with other programs and is easily explained to those new to the program. it is Flexible and scalable. it is database software for enterprise resource planning and accounting purposes. it can be used on within a server environment, web based and cloud suite environment. i can recommend sage3 enterprise suite to any company desirous of implementing an ERP system for medium solutions. Although it is quite expensive to procure. "very slow to evolve- subsequent upgrades are very expensive and offer very little additional benfit"
The interface is compact and easy to use, but still easy to scale for small to mid size business. Some functionality can be improved to allow for general updates, in particular for payroll. "Long-Standing Construction Based CRP and Document Management getting long in the tooth"
The complete Sage 300 (formerly Timberline) package includes almost all modules needed for a Small to Medium sized Construction Business. From a complete Suite of Accounting modules all the way down to the nuts and bolts of Project Management and Field Reports I like that this suite can be put in and become a go to/catch all for the standard construction business. Two things that would be tied on the dislike scale. 1) The GUI is very out dated and is very "clunky". 2) This software still used the Prevasive Database product which is very slow with constant calls between the server and workstation. Not only is this product a bit long on the tooth as to its speed and appearance, I am not seeing a real fast ramp up of cloud based offerings from Sage. They do currently have a product with allows mobile devices to check reports but until they start offering more of a "Project Room" type product, where both employees and clients can collaborate, I am not sure how long they will stay pertinent. Using this suite, in conjunction with their Document Management add-on, our organization has streamlined management of each project from the estimating phase all the way to electronic storage of all documents related to the project. It has taken the problem of different departments using random software packages to seeing the company being unified using Sage for most ERP functions. The ability to design report using Excel and Crystal Report is probably the best part about Sage. Drill down from each window to next. Having experiences in use of other accounting systems, Sage history query windows are not the best. Most of times when looking for particular transaction in a particular month, Sage does not allow to be more specific. I know that it is mid to lower end of Sage ERP systems, however this one feature would be very useful if it was included in all Sage products. Stream lining processes. Accurate results for quarterly reports. We have combined Sage with Print Boss to be able to send statements in batches at month end. Not intuitive at all. Very difficult to use. Even with an accounting degree it is difficult to navigate and understand. We are actually switching from Sage because we believe other softwares offer more benefits. "Easy to use and learn, much functionality." The system is easy to navigate and learn. Too much flipping back and forth between modules. Would be nice to have everything in one place. Tracking and reporting of all expenses, commitments, budgets, etc. "Used it as an accounting manager"
More powerful than our company needed. Data dumps are needed frequently, no cloud storage. Allowed us to operate in multiple facets of an industry - leasing, manufacturing, selling, etc. "Good system for medium size business"
The ability to integrate other programs. There is a severe lack of hotkey shortcuts. Our old Sage software crashed multiple times a day. Things are much smoother now. * We monitor all Sage 300 ERP reviews to prevent fraudulent reviews and keep review quality high. We do not post reviews by company employees or direct competitors. Validated reviews require the user to submit a screenshot of the product containing their user ID, in order to verify a user is an actual user of the product. Hi there! Are you looking to implement a solution like Sage 300 ERP?